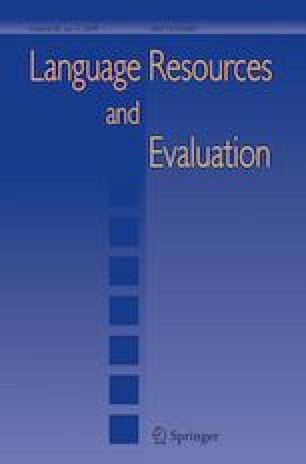 This article describes the procedures employed during the development of the first comprehensive machine-readable Turkish Sign Language (TiD) resource: a bilingual lexical database and a parallel corpus between Turkish and TiD. In addition to sign language specific annotations (such as non-manual markers, classifiers and buoys) following the recently introduced TiD knowledge representation (Eryiğit et al. 2016), the parallel corpus contains also annotations of dependency relations, which makes it the first parallel treebank between a sign language and an auditory-vocal language. This research is supported under the project “A Signing Avatar System for Turkish to Turkish Sign Language Machine Translation” by The Scientific and Technological Research Council of Turkey (TUBITAK) with a 1003 Grant (No. 114E263) and under the project “Sign-Hub” by the European Union’s Horizon 2020 research and innovation programme under Grant Agreement No. 693349. The convention in sign linguistics is to use the acronyms of sign languages as they are used by the Deaf community, namely, with the capital letters of the sign language name in the local spoken language. Thus, TiD represents the first letters of the Turkish words Türk İşaret Dili ‘Turkish Sign Language’. We are grateful for the support of our signers Jale Erdul, Elvan Tamyürek Özparlak, Neslihan Kurt, our Project advisors Prof. Dr. Sumru Özsoy and Hasan Dikyuva, and of our project members Pınar Uluer, Neziha Akalın, Kenan Kasarcı, Nevzat Kırgıç, Cüneyd Ancın. Finally, we want to thank our three reviewers for insightful comments and suggestions that helped us improve the final version of the article. De Vos, C., van Zuilen, M., Crasborn, O. & Levinson, S. (2015). NGT interactive corpus. MPI for psycholinguistics, the language archive, https://hdl.handle.net/1839/00-0000-0000-0021-8357-B@view. Johnston, T. (2016). Auslan corpus annotation guidelines. Centre for Language Sciences, Department of Linguistics, Macquarie University (Sydney) and La Trobe University (Melbourne), http://media.auslan.org.au/attachments/Auslan_Corpus_Annotation_Guidelines_November2016.pdf. Swedish Sign Language Corpus Project, U. D. (2017). Universal dependencies for Swedish Sign Language. Stockholm University, https://www.ling.su.se/english/research/research-projects/sign-language/swedish-sign-language-corpus-project-1.59270.